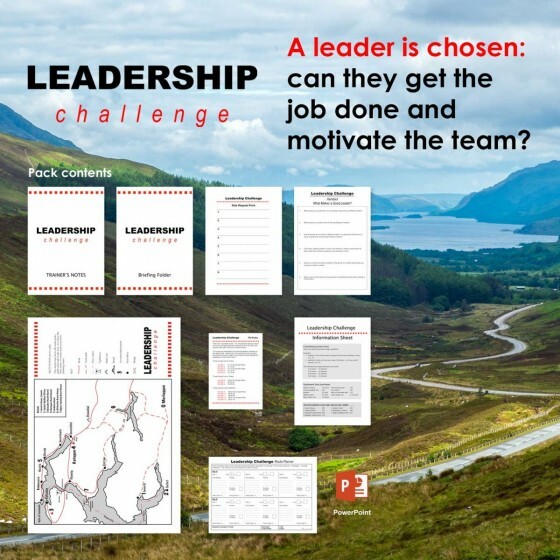 Four teams are asked to nominate leaders who are then briefed, each on a different style of leadership, and given details of a task for the team – which they will be leading! 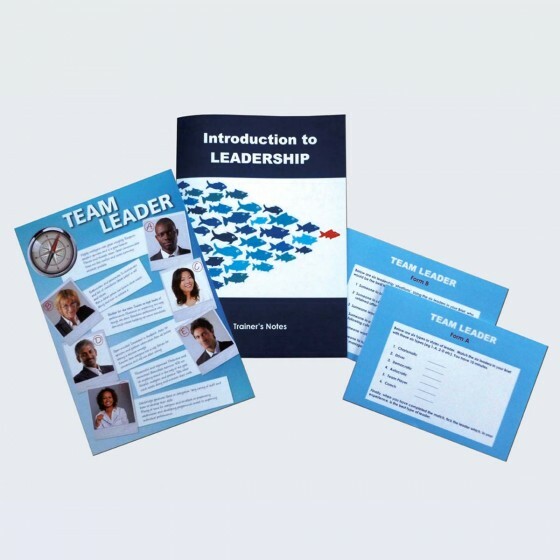 While the leaders are briefed their team members complete a handout that points them to ideas and creates discussion about how they view effective leadership. Leaders then return to their teams with the task. With the resources supplied, leaders must motivate their teams to construct a tower that is scored on both height and creative design. 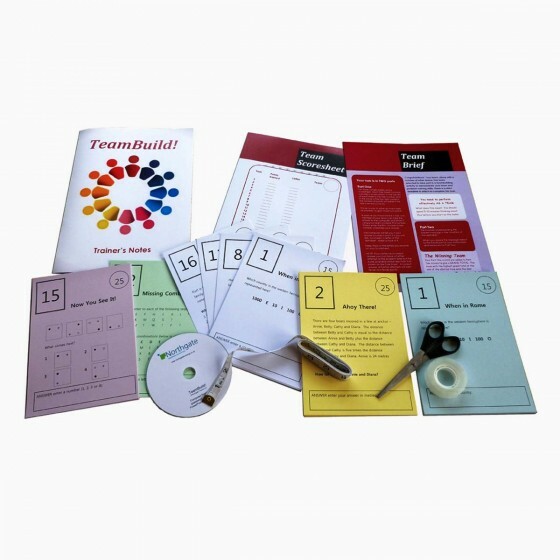 Teams then review their own and their leader’s performance and compare leadership styles by way of a series of review forms and questionnaires. Which team was most satisfied with their leader? Which team performed best? The pros & cons of different leadership styles are revealed. Full Trainer’s Notes supplied. Allow time for teams to choose a leader (or you, the Trainer, select). Issue team leaders with their individual styles and a Brief for the task. 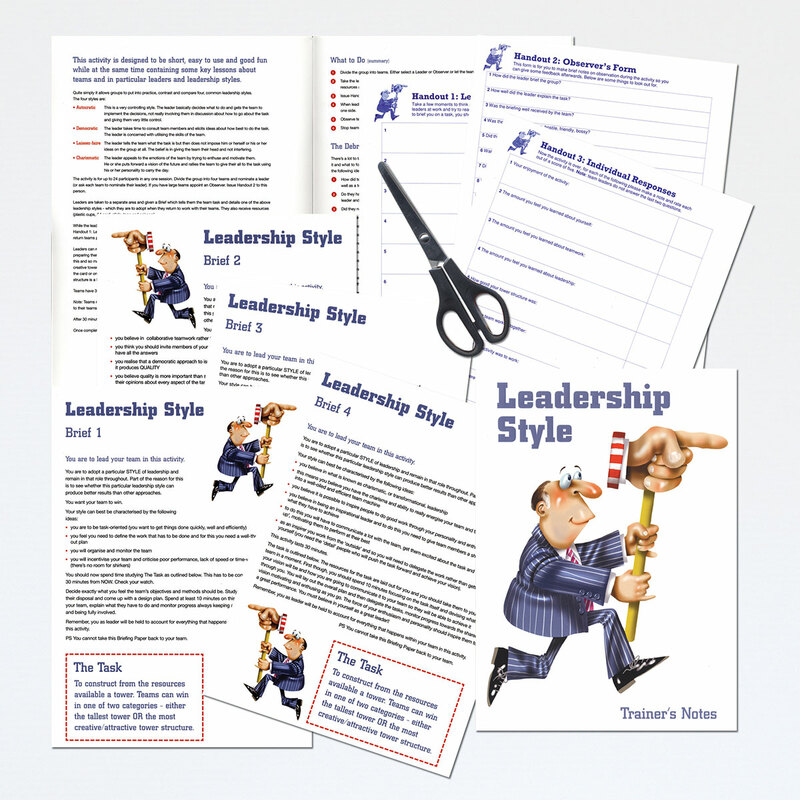 Allow leaders time to familiarise themselves with the style and the task. The leaders brief their teams. 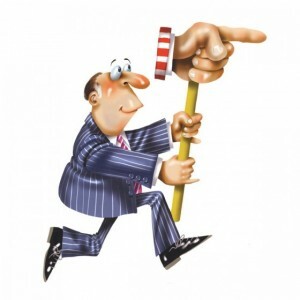 Observe the teamwork and watch how the different leadership styles impact on team performance. Relate the lessons to the workplace. 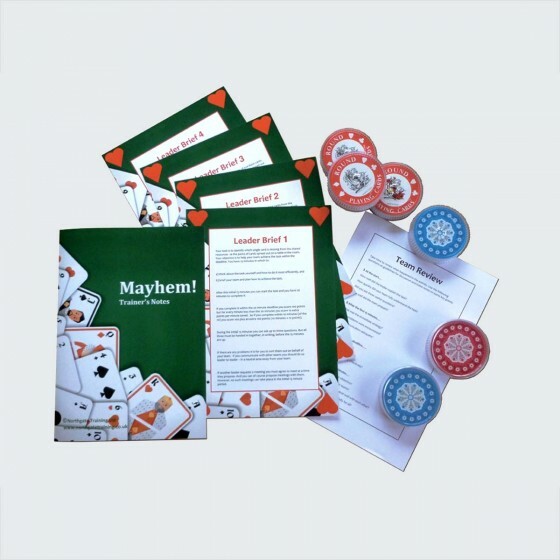 We used the activity in an auto-manufacturing company to show how different leadership styles can influence a team's motivation, performance and success. We had a very good experiment. It engaged teams and energized them. We also used the activity in a petroleum company for a Motivation workshop and it was successful there too. I used 'Leadership Style' with three teams of five - each having a leader with a different style. The results were slightly unexpected and led to a great debate on the difference between leaders and managers. Great feedback from participants about the usefulness of the session. Great exercise! All participants absolutely adored this activity.